That’s right, the iconic 911 is a half-century old, and to commemorate such an impressive feat, Porsche will offer a 50th Anniversary Edition, limited to just 1963 units, representative of the year the 911 was born. But don’t worry, other than some badging your Anniversary 911 will look just as indistinguishable as all the others, despite some fairly major changes for 2014. The bulk of those changes affect the GT3 and Turbo models, however, and in Porsche tradition, they should give purists plenty to gripe about. First comes more power, something no one seems to have a problem with. The direct-injected 3.8-liter boxer 6-cylinder sports an additional 8 lb-ft of torque and 40 extra hp in the GT3, bringing total power up to 475 hp and 374 lb-ft of torque. You’ll also get some new forged and titanium parts that bring the lump in a few pounds underweight from previous applications. Turbo and Turbo S trims also see a power increase—20 and 30 hp, respectively—something no one was asking for, but everyone wants. Zero-to-60 speeds for the 3 trims come in at 3.3 seconds for the GT3, 3.2 for the 520-hp Turbo when equipped with the optional Sport Chrono Package and a shocking 2.9 for the 560-hp Turbo S.
Now, on to the heresy. GT3 trims get electric steering this year, and while it’s been generally well-received in the Carrera, we can expect those ponying up the cash for the GT3 to be less flexible. Even more contentious, all 3 trims are fitted with 4-wheel steering for 2014. This system provides opposed steering under 30 mph for easier navigation around tight alleyways and parking-lot lanes, and congruent steering at higher speeds for more responsive handling when the world blurs. On paper, who would argue with making the 911 more manageable? In reality, the idea of adapting to new handling characteristics for a car as legendarily twitchy as the 911 is a frightening thought. Apparently Porsche anticipated this, as the Turbo trims additionally get a revised all-wheel-drive system with an electronically controlled coupling and improved cooling for better power transfer to the front wheels. They’re also fitted with adaptive aerodynamics—3-stage front and back—to make sure wheels and pavement stay in close contact. After all, when your customers die, no one wins. Sadly, all 3 also come standard with a new version of the 7-speed PDK double-clutch transmission. No manual will be offered. 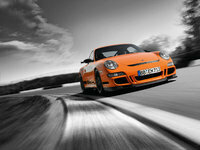 The GT3 additionally gets taller gearing and final drive ratios, which help it come so close to the Turbo’s times. 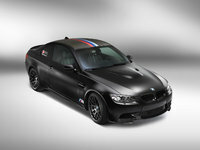 But the real story is in the limited 50th Anniversary edition, much closer to the 911 it supposedly honors. Rear-wheel drive, Fuchs-inspired 20-inch wheels, chrome exterior detailing and your choice of 3 colors: Black, Gray or… another Gray. Inside you’ll find “911 50” badging and stitching, as well as some smart seats with tartan-plaid-inspired inserts, reminiscent of the 911s of old. The body is based on the Carrera 4 and offers a rather understated honorarium for this old horse. Of course, that’s just visuals. Porsche’s Active Suspension Management System is standard, as well as a sports exhaust, the Sport Chrono Pack and a small power bump to 430 hp. Here you can choose between the 7-speed PDK and a manual transmission—each of which will get the anniversary edition to 60 mph in just 3.8 seconds. Quite the soiree for a golden anniversary, bringing a few surprises and some expected developments—just like a marriage. The 911 is perhaps the best example in the automotive world of a car that has managed to stay true to its original vision, even through the addition of AWD, forced induction, fuel injection and water cooling. I’d be shocked if the 100-year anniversary 911 stays so close to the original. Better jump on this anniversary while the 911 is still sucking gasoline. 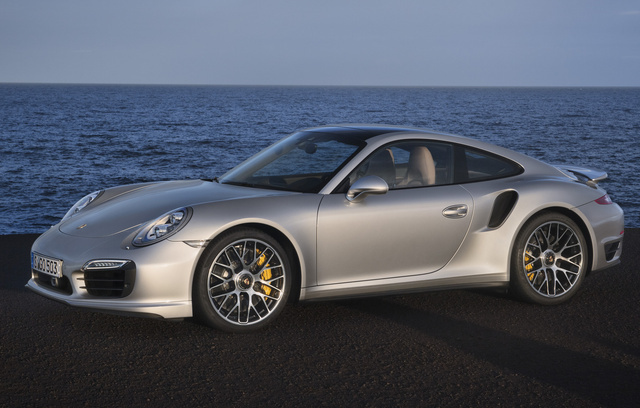 What's your take on the 2014 Porsche 911? Users ranked 2014 Porsche 911 against other cars which they drove/owned. Each ranking was based on 9 categories. Here is the summary of top rankings. 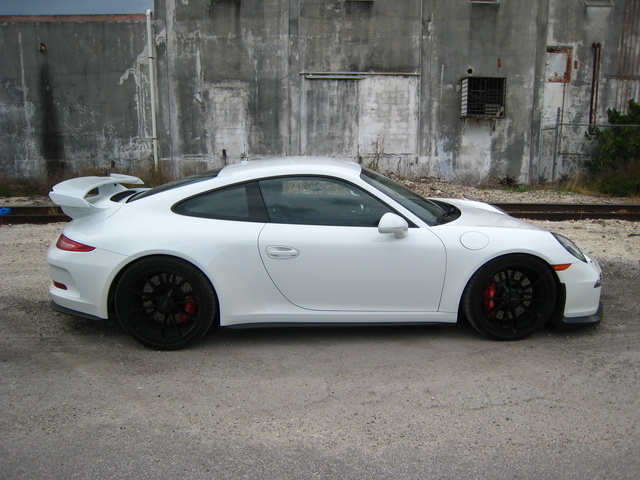 Have you driven a 2014 Porsche 911? How Do I Enhance My Ad On My Porsche And Get More Pictures ?? How do I enhance my ad on my Porsche 911 and get more pictures on this present posting ?? Why Is My Listing Showing A Status Of "Closed"? I've had a listing published for a few weeks. It now shows as "Closed". How Does Selling A Car Here Works Out?